Hello. I hope you've all had a good week. Today I'm linking up with Emily @ The Loony Teen Writer for her feature Loony Blurbs! Because there aren't enough books in the world (heartbreaking irony intended), this feature involves the game of making up blurbs based on book titles. If you are participating please let me know and I'll pop over; if you're here from the link-up, welcome! Smoke and Bone were never meant to mix. In the Shadowland, a faraway war rages between the elite of the Mages of Smoke and Bone. The ordinary people know neither the cause of the war or its details; all they know is that their side is unquestionably in the right, and the other is tainted and wrong. But then two mages from opposing factions do the unthinkable, and fall in love. Years later, the war still rages and Ashaya has grown to maturity in the far off land to which her long-dead parents fled. Within her, Smoke and Bone Magic is growing, and she must learn to control a combination of power more dangerous the world has seen since the long-ago time before the war began. Now, with a conviction to return to her own country of the Shadowland, Ashaya must choose between safety and passion, because both truth and magic are dangerous, and both could tear her apart. Elle smiled at the shopkeeper, perfect teeth flashing in her perfect face. "Thanks so much!" she said as she left the quaint little shop, her magazine beneath one arm. At the end of the lane she stopped and smiled again, no longer so angelic. Putting her hand into her skirt pocket she wrapped her fingers around the perfume bottle she had stolen. Elle is the golden girl of the town. Perfect, beautiful, sweet, honest. Everyone's best friend. And when no one is looking: shoplifter and daredevil. Meanwhile in New York Nicole is living a different sort of wild life, parties and boys and the unquenchable spirit of the city that never sleeps, and when her parents take her to Elle's sleepy town she is non-plussed. But the two girls are soon friends, and rule the town together in a summer of exclusive friendship - and theft. But events in that small town are going to take an unexpected turn -- and Nicole and Elle will be revealed to each other for who they really are. Then, where will they find that their loyalties lie? Thalia dumped her bags on the bare wooden boards of the dormitory. Out of the window, Georgian desert stretched into the shimmering horizon. 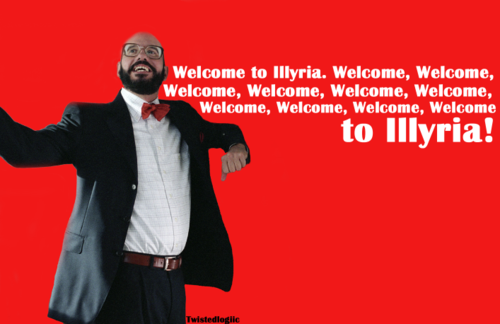 Thalia pulled her iPhone and gasped with dismay. "Are you serious!" she exclaimed. "There's no WiFi!" Thalia, Anna, Liddy and Jen have never met before when they are thrown together as volunteers in a summer scheme to clean up the Savannah River. In one way or another each is running away from her life at home; high-flying Thalia is trying to escape the pressures of her parents' expectations whilst Anna runs from the boy who broke her heart; meanwhile Liddy has been ostracised from the ones she thought were her friends whilst Jen, snappy, bristly Jen, hides a secret more painful than any. Brought together by a pair of jeans found in the drawer of their rustic dorm room, four very different girls form a friendship that will transcend the boundaries of class, education and social groupings, and last for more than a summer. Sophia thought she had escaped. The war. The City. The broken heart. In a new rural life far away from it all she lives happily, uncomplicatedly, long summer days and a boy who takes her away from everything she's lost. But when a dark cloud falls upon the City and rumours of the past echo through the land, Sophia has no choice but to return, to a wasteland she barely recognises as the city that was once her home. Now no one is safe; now the shadows lurk longer than ever and fear stalks the streets. Now Sophia must meet once more with the boy she never wanted to see again. Now all around them, the City of Bones is rising. Frankie Landau-Banks is an evacuee who bursts into the lives of Mr and Mrs Brown (and their tiny dog) with the reckless energy of a love-starved ten-year-old desperate for a new life. 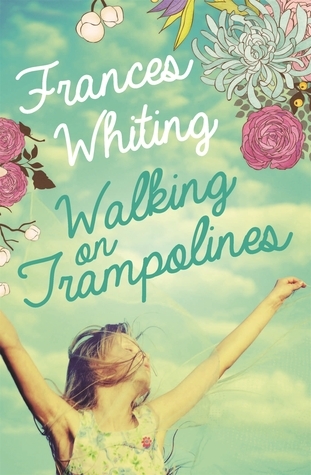 In a series of catastrophes and dilemmas, good-hearted Frankie offends all of war-time Surrey, and wins the love of everyone she meets. 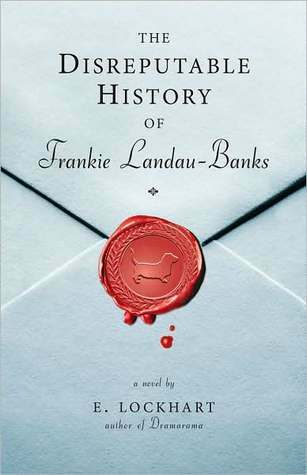 The Disreputable History of Frankie Landau-Banks was an instant classic upon publication and still charms the hearts of readers today, in this rebound celebratory edition. Skate stared at the clouds flying overhead. Yellow, red, green, purple. There were too fast, too bright, too harsh. Did other people see the world this way? Skate is a problem child. Problems at home. Problems at school. Problems in her head. At night she lies awake desperately wishing herself out of her dusty town, out of the school where one hundred teachers try to fix her, out of the world she is trapped in and into the sky above. Unable to communicate to anyone the vivid intensity of her thoughts, the strange feelings she can't understand, Skate is falling beneath the weight of her own mind. But that is when Miss Kelly comes into her life: with smiles and ideas different to anything Skate's small town has seen before, she touches the lives of many at the local school. And none more than Skate; linked by personal tragedy on both sides, woman and girl are brought together to finally tap into Skate's extraordinary mind. And those are my loony blurbs! Thanks to Emily for hosting this very enjoyable link-up. Did you participate? Now please tell me: have you read any these books? What are they actually about? (I've not read any of them, so I don't know.) And, from these blurbs, which book would you pick up? I think I'd probably choose I'll Give You the Sun, or maybe The Disreputable History of Frankie Landau-Banks. Tell me what you think! This is really cool. 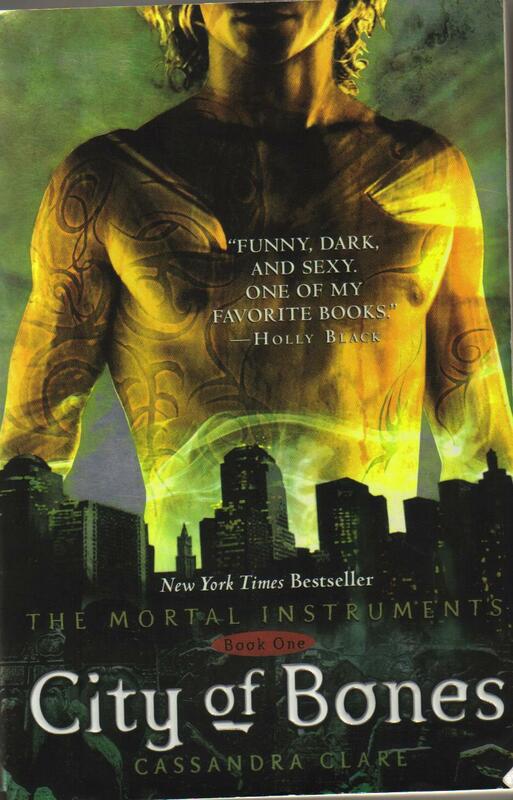 I've only read City of Bones, which is nothing like your blurb.... :L I read the three in that series and then got tired of them and because my friend RUINED the fourth book for me! But I really want to see The Sisterhood of the travelling pants. I've read the DVD blurb and it looks very good. 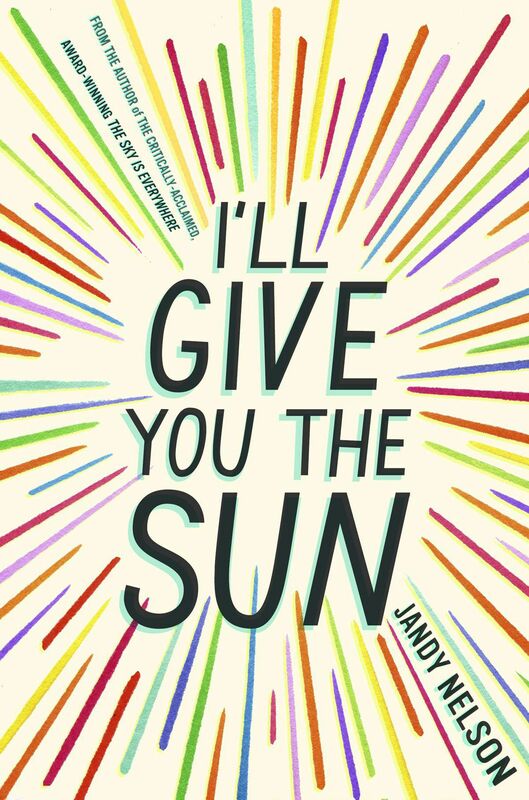 Based on your blurb I would definitely read I'll Give you the Sun. I think I've read the (real) blurb of City of Bones, but I can't really remember what it said. Some of my friends have told me they're pretty good -- but the cover/blurb didn't grip me at all. I dunno. I don't think I'll ever read them. I have a friend who reads the Sisterhood books every summer and loves them! I didn't know there was a film, though, until I googled the book to find a picture of the cover for this post. Thanks! :D ~whispers~ it's kinda like an English Anne of Green Gables .... don't tell anyone!! Aaah I just left a really long comment about love triangles and shizzle put it didn't publish, GEE THANKS BLOGGER. The bottom line was that I don't like love triangles so I when I put one in that blurb I was kinda making fun of the trend! Also, thanks for stopping by/the Bloglovin follow.